SHUT IN is a heart-pounding thriller starring two-time Oscar Nominee Naomi Watts, that relentlessly questions whether or not we can really believe our own eyes and ears. Isolated by her role as carer to her paralyzed son and by a devastating blizzard, Watts’ child psychologist, Mary, must find out the truth behind a missing boy in her care. 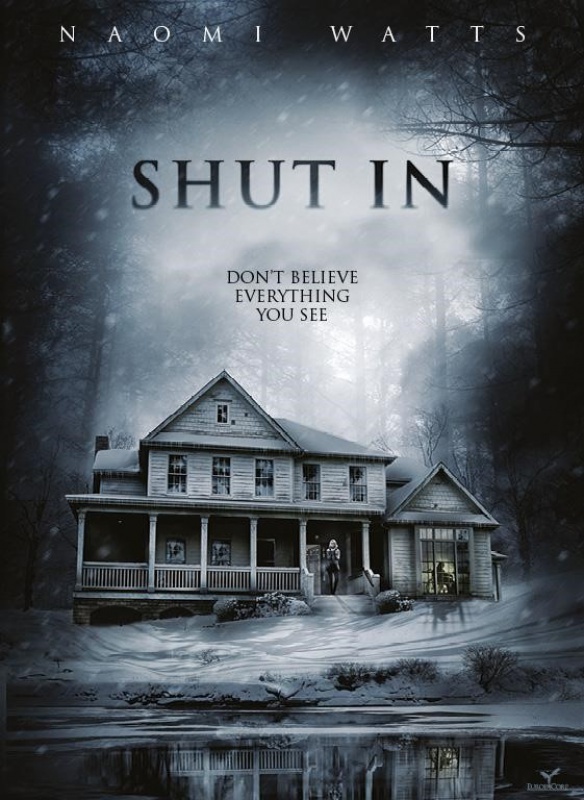 Making great use of its claustrophobic setting, SHUT IN is a terrifying slice of New England gothic that will keep you riveted until the final twist. After losing her husband in a tragic car accident that also left her teenage stepson, Stephen (Stranger Things’ Charlie Heaton), paralysed and uncommunicative, child psychologist, Mary (Oscar Nominee, Naomi Watts), finds herself isolated in a remote New England house, struggling with her responsibilities as a carer while juggling her career. When a new patient, Tom (Room’s Jacob Tremblay), left grieving after the death of his mother, vanishes in a severe winter storm and is presumed dead, Mary continues to hear his voice and catches fleeting glimpses of him around her home. While her doctor puts her visions down to sleep deprivation, Mary begins to suspect something more sinister as the storm cuts her and Stephen off from the outside world, and the intensifying apparitions cause her to fear for her sanity - and her life. SHUT IN will be available in the U.S.A from 28th February 2017 but can be pre-ordered now at the links below.